Serving Wisconsin and the Upper Peninsula of Michigan, Alliance Medical Corp has been providing Hospitals and Ambulatory Surgical Centers with equipment to help improve efficiency, reduce cost and increase the quality of patient care. 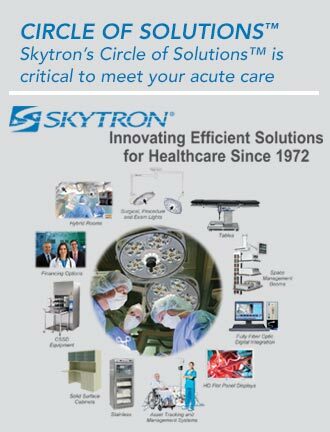 Keeping pace with healthcare facility’s needs, we partner with SKYTRON to offer a wide range of innovative technologies and state-of-the-art equipment for OR, Hybrid Room, ER, CSSD, ICU, Labor & Delivery Departments, and Exams Rooms. We work closely with architects, planners, construction teams, hospital staff and physicians to provide the best possible solutions for every facility.